Shortly after LabourList published a comment piece from a Labour staffer in Newcastle who wanted a platform to raise concerns about their working conditions, an email was sent to National Communications Centre employees. At 11.30am, they were informed that there were a couple of places available on that day’s overtime shift – starting in half an hour, at 12pm – and those would be allocated on a first-come, first-served basis. When the party and Jennie Formby responded to the LabourList story yesterday, they pointed out that party employees are paid at least £10 an hour and no zero-hours contracts are used. Both are commendable policies, though neither are pertinent to the concerns raised in the piece, which relate to short/low-hour contracts and practices that foster insecurity. Examples of the latter include receiving notice of how many hours they will work the following week on the Friday evening before or even on the Sunday. 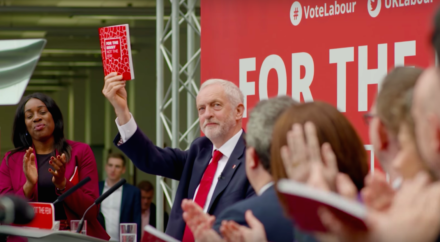 LabourList understands that employees hope the joint trade union committee (JTUC) meeting between GMB, Unite, Jennie and others, already scheduled to take place on Thursday, will now have new agenda items to discuss. Expect updates to follow. Today is both World Homelessness Day and World Mental Health Day. It is also the first PMQs following conference recess, and Jeremy Corbyn may want to focus on those issues – perhaps linking them to the disastrous Universal Credit roll-out. Speaking in Edinburgh, Gordon Brown will later today warn that the “burning injustice” of this flagship Tory welfare policy results in a “poverty of the innocent” and its continued implementation could spark “poll tax-style chaos”. If Theresa May wanted to take our mental health crisis seriously, she’d listen.